Replacing a control system or even making significant modifications to it can mean days of lost production while the new system software is written, debugged, tested, rewritten, debugged again - through many iterations until complete. To dramtically reduce downtime, MACOL has developed simulators that allow us to replicate the functions of the customer's real plant. New software can then be created, tested and demonstrated to the customer as a working model without the need to interrupt operations. 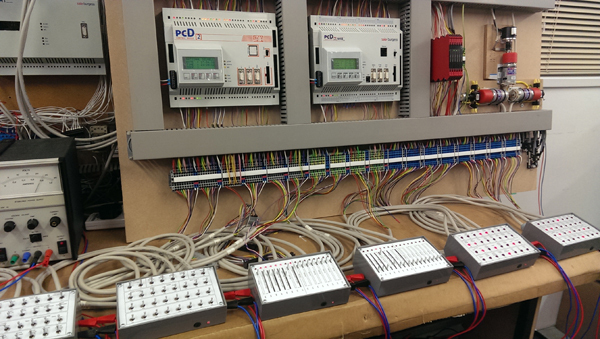 Simulators can be constructed to emulate momentary or static switch closures or variable voltage / current analoge inputs. 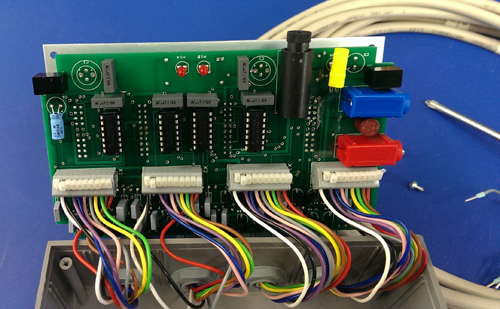 The new Digital design incorporates two layer PCB's and include dual fuse protection and power indication. They can be supplied with 8, 16, 24 or 32 Inputs or Outputs. The Analogue boards incorporate 4 layer PCB's and have dual boards, one for the Potentiometric Sliders and the other for Voltage or Current function. They can be supplied with 4, 8,12 or 16 outputs. We can provide overlays to suit your specific requirements or customers may create their own by modifying our standard template file using Autocad (.dwg) or Word (.doc) format.